This open source Java project consists of an extendible library along with a Java application, a Java applet and many plugins in order to integrate the library into other programs. 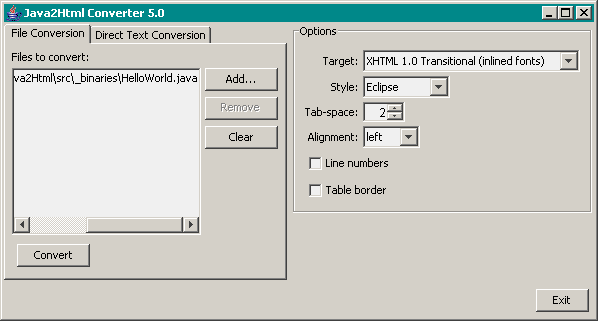 New version 5.0 and Eclipse plugin 1.5.0 released. 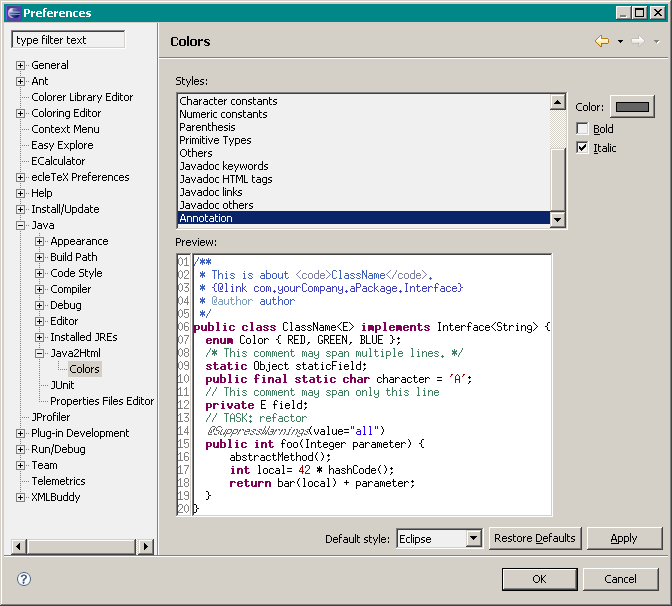 Eclipse Plugin: Moved default style control on preferences page to button panel. Better indicates what the controls are meant for. 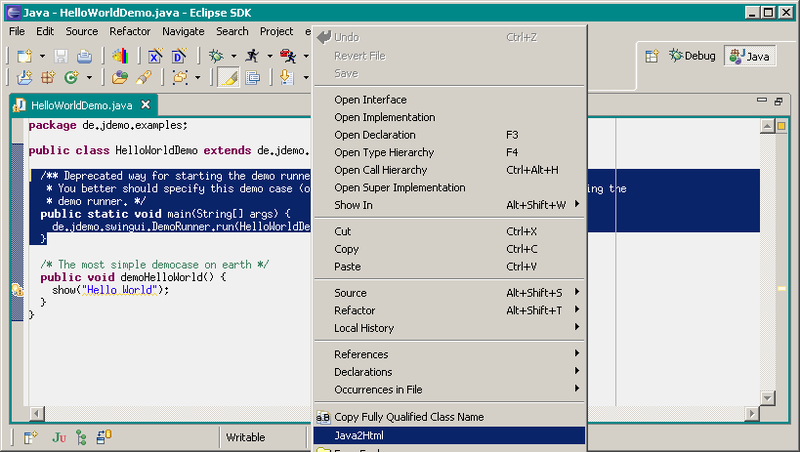 Eclipse Plugin: Extended preview source code to also show Java 1.5 features. The Java2Html homepage has been updated. Hope you like the new design. Open Source under the GPL or CPL1.0 license (whatever of both fits your needs). Does not depend on a strict grammar: Even parses incorrect Java code (e.g. code snippets) and other text files. Can easily be extended or integrated into other projects (e.g. Wikis). Conversion output can be configured (Color, style,...) - have a look at various style examples. 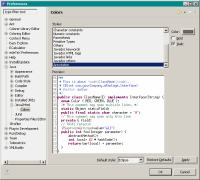 Available as class library, Applet, Ant task, JSPWiki Plugin, Plugin for the Eclipse IDE and others. Does not use a strict grammar - so automatically generating hyperlinks for navigating source files is not possible. Don't forget to visit other software projects of mine - especially JDemo.